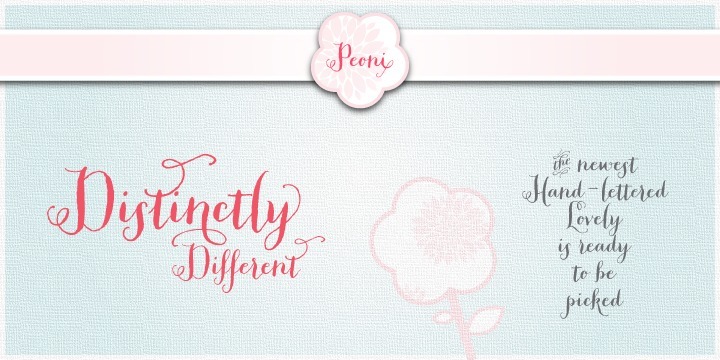 Peoni is a delicate, sweet and quirky font. It is distinctly different from all of the other fonts that offer decorative italic styles. The incredible hand-lettered glyphs of this amazing font has have retained their original imaginative textured appearance to ensure bona fide custom-lettering feel. Equipped with over 1200 glyphs, Peoni can be defined as a dynamic typeface promising a wide range of open-type features.